Council of Better Business Bureaus, Chief Security Office Bill Fanelli, reveals the truth behind Cybersecurity and its impact on small businesses. Research reveals 5 myths that put small businesses at risk. After you listen, take a closer look at the State of Cybersecurity Report details. Digital channels have completely changed the way consumers communicate and get information on products and services. 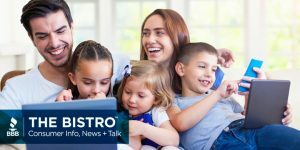 Society of Consumer Affairs Professionals (SOCAP) President and CEO, Brian Costanzo joins us to discuss the impact that digital has on the customer experience. 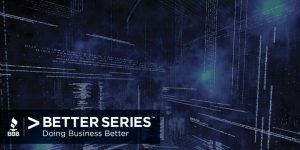 Council of Better Business Bureaus Chief Security Officer, Bill Fanelli joins us for a two part series to discuss the state of cybersecurity. Bill’s new research provides eye opening insights for the small business owner. After you listen, take a closer look at the State of Cybersecurity Report details. 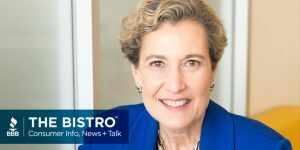 Council of Better Business Bureaus President and CEO, Mary Power discusses The Bistro podcast. We discuss today’s hottest consumer trends, predict the future with consumer experts, and learn how elite businesses and entrepreneurs continue to push the envelope to meet and shape the needs of the consumer. Council of Better Business Bureaus President and CEO, Mary Power discusses Better Business > Better Series podcast. Join our open dialogue to talk through the impacts, direction, and forward movement of our dynamic marketplace. Let’s discover together what doing business better looks like, in the 21st century market.